What Is Stomatitis in Cats and Could Your Cat Be at Risk? Stomatitis in cats could mean removal of some (or even all) of your cat’s teeth. So, what exactly is feline stomatitis and could your cat develop it? Feline chronic gingivostomatitis (often referred to as feline stomatitis or cat stomatitis) is a debilitating condition of the mouth that causes severe inflammation of the gums and painful oral lesions around the teeth, and on the tongue, lips, roof of the mouth and even the back of the throat. What Causes Stomatitis in Cats? 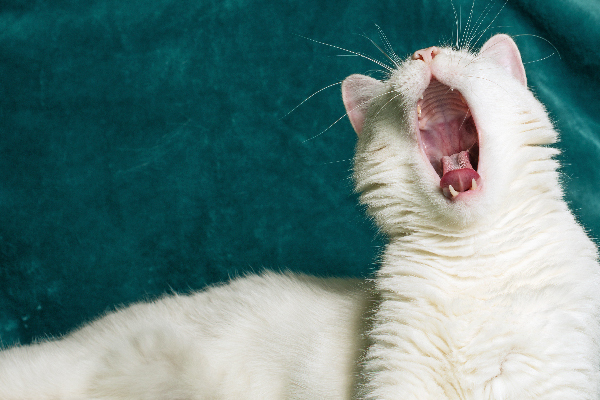 What exactly is stomatitis in cats, and could your cat get it? Photography ©Wild_Strawberries | iStock / Getty Images Plus. Although the exact cause of stomatitis in cats is still unknown, veterinarians generally agree that feline stomatitis is an autoimmune disorder. This means that the cat’s immune system is inappropriately mounting a response against plaque on the teeth. To support this theory, many cats with stomatitis are also infected with certain bacteria or viruses like bartonellosis, calicivirus, feline immunodeficiency virus (FIV), feline leukemia virus (FeLV) and herpesvirus. Some veterinarians believe that dental disease may also cause stomatitis in cats. What Are the Signs of Cat Stomatitis? Knowing the symptoms of feline stomatitis will allow you to seek treatment as soon as possible. “Signs include excessive drooling, decreased appetite, bloody discharge from the mouth, severely inflamed gums or inflammation on the roof of the mouth, and pain when the mouth is touched,” says Missy Tasky, DVM, owner of Gentle Touch Animal Hospital in Denver, Colorado. Cats might also paw at their mouths, have horrifically bad breath and stop grooming themselves. Many cats stop eating altogether because the pain is so severe and, as a result, lose weight. How Do You Treat Stomatitis in Cats? For mild cases of cat stomatitis, special dental care might help, including professional dental cleaning, frequent teeth brushing (to remove plaque) and veterinary anti-plaque products. Veterinarians may also try anti-inflammatory medications, immuno-suppressant drugs, long-term antibiotics, pain medication, laser therapy and topical anesthetics. If medical management is not helping, or if the veterinarian deems that it is unlikely to be of benefit, more radical measures must be taken: removal of the cat’s teeth. If inflammation is present around just some of the teeth, the vet might recommend removing just those teeth, but if inflammation is widespread, removal of all of the teeth is often recommended. This might sound drastic, but it makes sense when you think about it. With stomatitis, the body is mounting an immune response against the plaque that develops on the teeth. So, no teeth means no plaque. Many cats experience complete resolution of their pain and inflammation after total extraction of all teeth. Cats continue to eat and live very full lives without teeth, and taking away all that pain is worth it. Thumbnail: Photography ©PavlinaGab | iStock / Getty Images Plus. Could be the cats food. 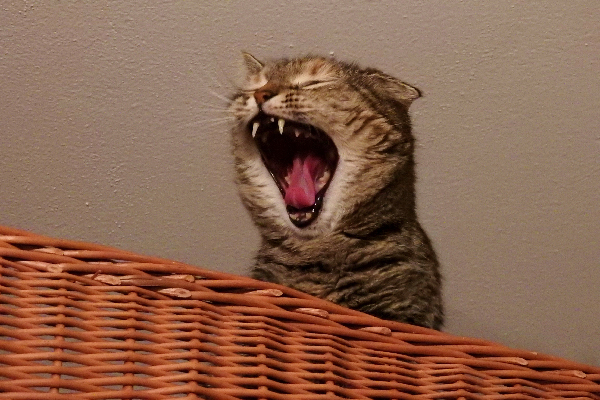 My cats were fed store brand Winco food for a short period of time and both cats lost more teeth even the cat with very good teeth lost a tooth. The vet even commented on how good his teeth were and asked me what I fed him. It was Friskies seafood sensations until he started having diarrhea problems. My beloved FIV+ kitty crossed the Rainbow Bridge humanely when he had an acutely severe stomatitis. I felt horrible he may had been suffering in silence until I noticed his drooling. No good treatment was going to make my shy boy happy. I had to let him go. I had a cat with stomatitis and had all its teeth extracted. That was five years ago and he is very healthy and happy. I have a stray outside cat that is hard to get in a carrier. We can only pet her when she is eating and doesn’t allow us to hold her. She had the front 8 teeth removed but the disease came back. The next surgery they removed all but the eye teeth. They told me a certified dental surgeon would have to remove them. She was given a steroid shot and liquid medicine to put in her food. She would not touch the food. Now I’m told I would have to bring her in every month for a steroid shot. I just can’t catch her that often. I’m at my wits end on how to help my cat. So far she is still eating but its only been 1 week since the shots have supposedly worn off. HELP. I’ve had three cats who had stomatitis. Two came from the same (no-kill, no-cage) shelter, and the third’s tenure in my house overlapped with one of them. Because of that, I’m convinced there is some infectious component, though other cats I had at the same time never developed it. The first two were treated with progressively stronger steroids, and it didn’t end well for either of them, as the steroids caused other problems. The third had full-mouth extractions, and my worst fears were realized–a toothless cat with continued stomatitis. She also had a chronic low-grade URI. The stomatitis was finally tamed with a combination of ciclosporin, which lowered her immune system, and an antibiotic to keep the URI in check in the face of the ciclosporin. Two or three years later, I lost her when she developed severe anemia, which the specialty vet said was either leukemia or an autoimmune condition, either of which was plausible given her history. Stomatitis is a nasty, nasty condition. And full-mouth extractions are not a panacea. Sarah, wow that is a whole lot of pain to endure, my heart goes out to you. Just one hour ago I brought my 13-year-old male home from getting his teeth cleaned, he had one tooth removed and [what ever they do for one reabsorbed tooth]. He was grinding his teeth and was hiding it very well. Now [hopefully] he will enjoy life a bit more. They are forever in our hearts. This was so heartbreaking to read.. your litties suffered :( so sorry.